Tiberius Julius Ininthimeus was a prince and Roman Client King of the Bosporan Kingdom. He was the youngest born son to the Bosporan King Cotys III and his mother was an unnamed Sarmatian noble woman. He was of Greek, Iranian and Roman ancestry. His two eldest brothers were princes Sauromates III and Rhescuporis IV. Ininthimeus most probably inherited his name from his maternal ancestry. Ininthimeus was a contemporary to the rule of the Roman Emperors Alexander Severus, Maximinus Thrax and the period Year of the Six Emperors. During his co-rule with his father, the last Bosporan gold coins were minted. After the death of Cotys III, gold coinage disappeared and was replaced with bronze or silver coins. According to surviving coinage, Ininthimeus appeared to have been a religious person who was involved in the worship of the Goddess Aphrodite and her cult. 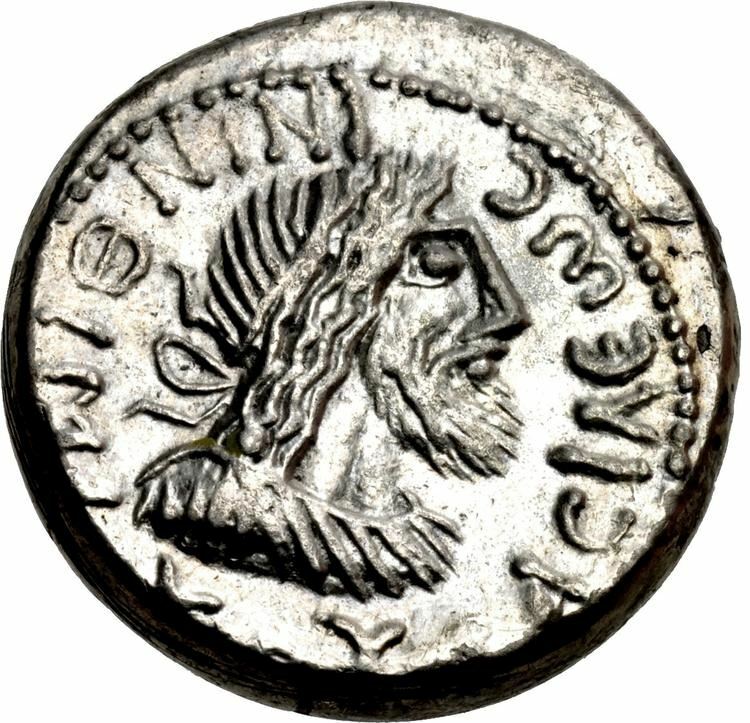 He also represents himself on coins as the goddess Astarte. During the Ininthimeus’ reign, the intrusion of the Goths created great pressure on the Bosporan Kingdom. Ininthimeus married an unnamed woman, and from this marriage had a son called Rhescuporis V. Ininthimeus died in 240 and was succeeded by Rhescuporis V.